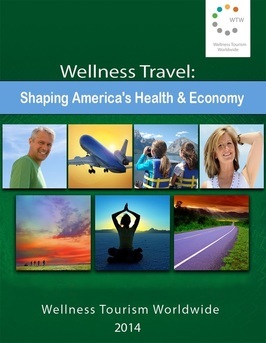 Wellness Travel: Shaping America's Health & Economy provides 100 pages of unprecedented data on wellness travel in the United States, examining a broad spectrum of stakeholders and confluences between sectors affecting both population and economic health and vitality. Part I includes an assessment of wellness travel. The report can be used to understand how wellness travel can play a significant role in disease prevention, workplace wellness, vacation policy development, tourism development and destination marketing. Part II focuses on a year long research study gathering over a 50 data points from U.S. travelers interested in wellness travel including segmented responses by age group and gender on wellness travel motivations, preferences and travel decisions. Promote healthy lifestyle vacation travel as an engine for economic growth, personal enrichment and better work/life balance. Over 40 figures and tables of data to aid in developing a smart, targeted approach to your marketing and communications plan to reach U.S. wellness travel consumers.